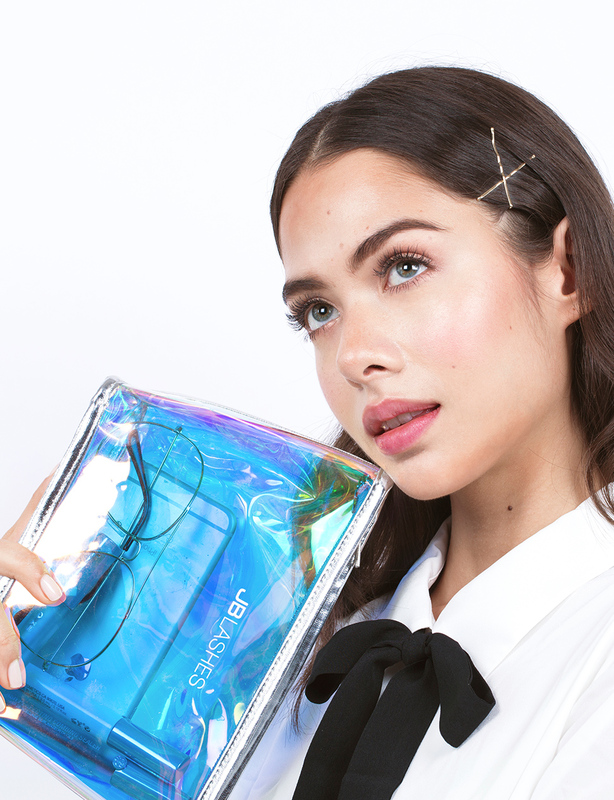 This holographic makeup pouch perfectly holds only the stuff you need—phone, keys, card and ilashcare products. 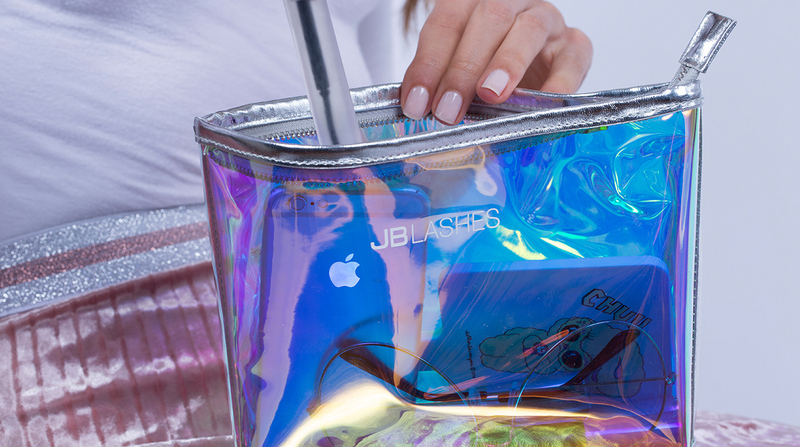 Made in an insanely bright pink holographic finish, with silver lining, and zip closure. 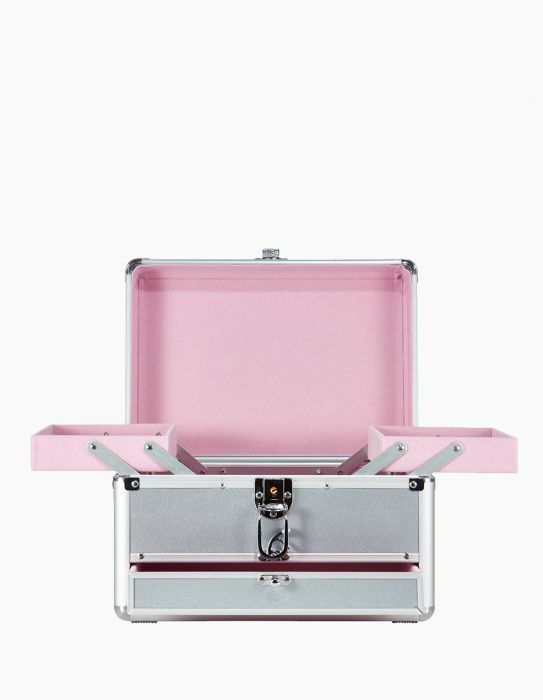 Bright pink holographic finish, with silver lining, and zip closure. 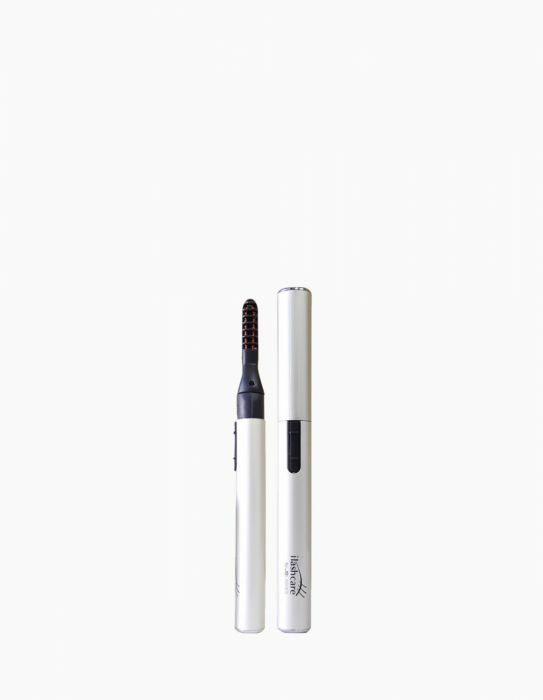 Store your lash and life essentials in this zipped up pouch.